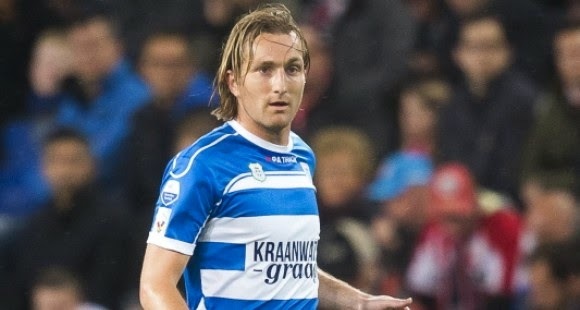 This week on "10 Questions with a Pro" we got a chance to hear from Joost Broerse, a Dutch defender / defensive-midfielder currently with PEC Zwolle in the Eredivisie. In his 17 year professional career Broerse got to play for FC Groningen, FC Utrecht and Excelsior, and also spent a few seasons with APOEL FC in Cyprus where he helped his squad to the Cypriot cup title and two domestic championships. In the Eredivisie, Broerse won the KNVB Cup (Dutch Cup) twice, once with Utrecht and most recently with his current club Zwolle. 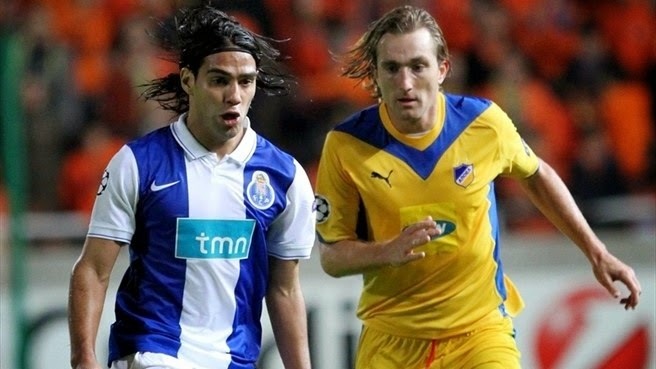 Joost Broerse also played in the Champions League group stages in his time with APOEL. FootyFair: You played most of your career in your native Netherlands. You did spend a few seasons in Cyprus as well. If you had to chose one other league you would have liked to play in, which would it be? Joost Broerse: It was Always a dream of mine to play in Germany. I really like the way the fans support their teams there and in the Bundesliga you must be at your best in physical and conditional way. FF: What was the single best moment in your professional career? JB: The best single moment in my career was when I reached the Champions League with Apoel Nicosia. Something which I never expected when I moved to Cyprus and I thought this will be an unreachable goal. FF: Since we are in the middle of the World Cup right now, what is your favorite World Cup memory? JB: My favorite world cup memory was my trip to Germany in 2006 with a friend and we saw Holland winning in Leipzig and Stuttgart. It was a nice road-trip. FF: If you did not become a football player, what would be your career right now? JB: I think I would be active anyway in sports or football related business, like a manager or marketing specialist. FF: When you were a kid, which famous player did you pretend to be when you played football? JB: Paolo Maldini was my favorite player. A professional and a winner. He also had a nice appearance. FF: What is your favorite sport, other than football? Who do you support in that sport? JB: I really like to play tennis and my favorite there is Novak Djokovic. A hobby of mine is mountain-biking but I don't have favorites there. FF: If you alone got to pick one country in the world (not Netherlands) to host the 2026 World Cup, and it could not be a country that hosted the tournament before, which would you chose? JB: I don't have any idea. I would choose a country with football history and good conditions to play in. So Holland is a good choice. FF: What was the funniest or strangest moment you ever experienced as a footballer? JB: Once, during training camp we (the players) put a Turkey in the room of one of the assistant coaches. So when he went to bed he had to remove the Turkey first haha. FF: Do you have any superstitions/rituals as a footballer? JB: Since a couple of years I have the same dinner the night before the game. It's broccoli with tortellini. After that I have some Green Tea, Pineapple and M&M's. FF: Who is your favorite current Dutch player? What qualities make him your favorite? JB: My favorite is Arjen Robben because he is Always dangerous and scores a lot of important goals. FootyFair would like to thank Joost Broerse for taking the time to answer our questions, and we would also like to wish him the best of luck in his ongoing football career.